City Club of Denver - Amendment 63: Health care choice or a false promise of opting out of federal health care requirements? Amendment 63: Health care choice or a false promise of opting out of federal health care requirements? The proponents of Amendment 63 say that health care choice should be a constitutional right, and the insertion of this language into the Colorado constitution will prohibit the state from requiring participation in any health plan. Opponents of 63 argue this would limit the state's options in trying to reduce the number of uninsured, and, in any event, this change in Colorado cannot overturn federal law. Which side is right? Come October 5th and follow the debate: Jon Caldara v. Edie Sonn. Former City Club President Jim Jacobs will moderate. Caldara and Sonn will each have 5 minutes to state their positions. Following their opening remarks, 30 minutes will be allocated to questions from the audience. The program will end with each participant having 5 minutes for closing comments. Questions may be submitted to Jim Jacobs on index cards provided on each table. City Club members are also encouraged to submit questions via e-mail to the City Club of Denver office at info@cityclubofdenver.org. 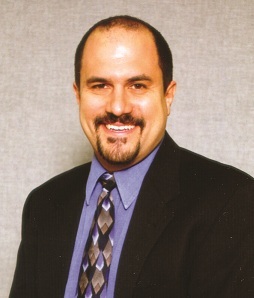 Jon Caldara is president of the Independence Institute, Colorado's free-market think tank. Caldara also hosts a 3 hour a day a radio talk show on News Radio 850 KOA. His current affairs television program Devil's Advocate airs on KBDI Channel 12, Friday nights at 8:30. Caldara started his political career in 1994 when he was elected to the Regional Transportation District Board of Directors. In 1997, Caldara led the effort to defeat "Guide the Ride". In 1998, Caldara led the statewide effort to defeat Referendum B. In 2000 ran the campaign against the educational spending mandate, Amendment 23. In 2001 he led defeat of a tax increase for a monorail system over the Rocky Mountains. In 2005 he ran the campaign against Referendums C and D, defeating the debt increase, Ref. D.
Among his many recognitions, 5280 Magazine named him as one of the top 10 most influential men in Denver, Westword awarded Caldara Denver's Best Media Manipulator, the Denver Post put Caldara on their list of people to watch, and the Colorado Jaycees awarded him as the Outstanding Young Coloradoan. The State Policy Network honored him in 2005 with the Thomas Roe Award. Edie Sonn oversees all state and federal governmental affairs for the Colorado Medical Society, a statewide association of more than 7,000 physicians and medical students. Prior to joining CMS in 2008, she was an independent public affairs consultant specializing in health care. Her clients included hospitals, health plans, nursing organizations, ambulance providers and Colorado's Blue Ribbon Commission for Health Care Reform. She holds a master's degree in public policy from Duke University.